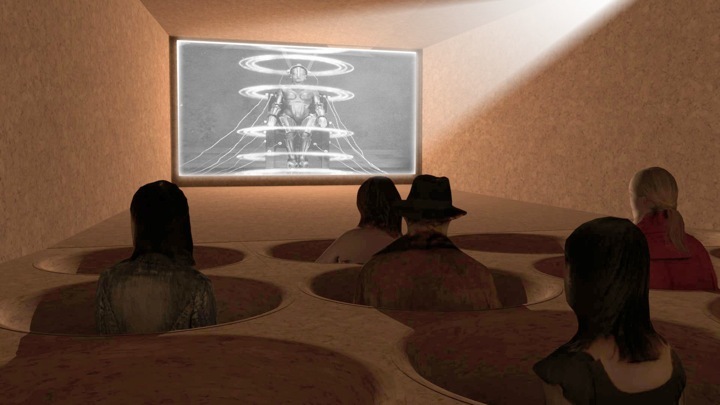 The ‘Centipede Cinema’ was finished by Bartlett School of Architecture professor Colin Fournier, who teamed up with Polish artist Marysia Lewandowska and London studio NEON. 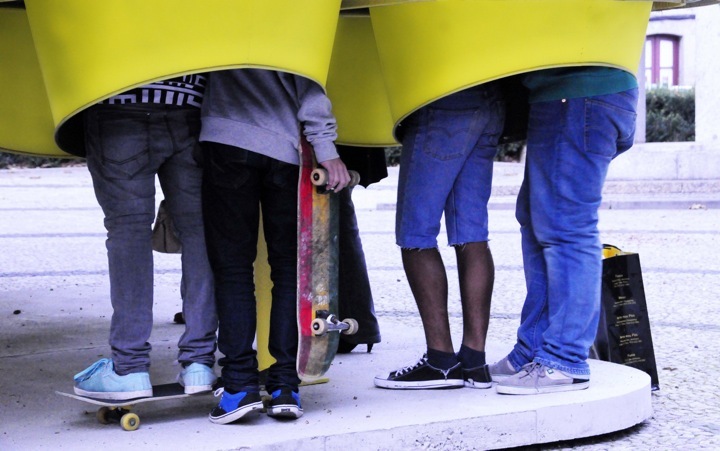 While the upper body of the viewer is part of the cinematic experience, their legs are rooted on the outside. 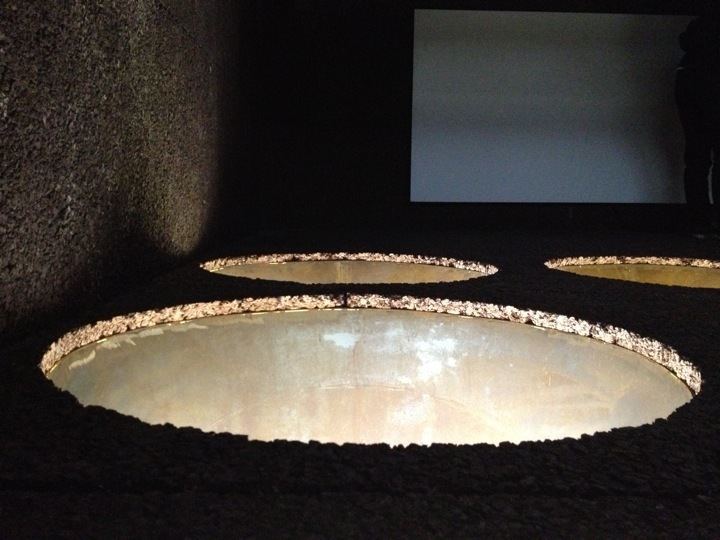 This cinema is situated in Guimarães, Portugal. 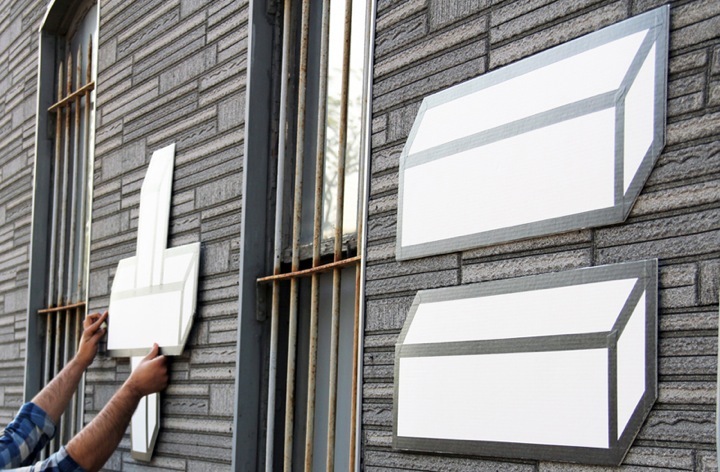 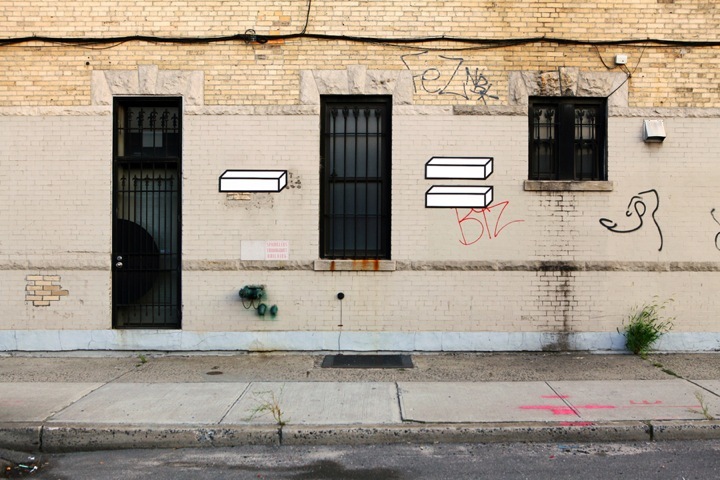 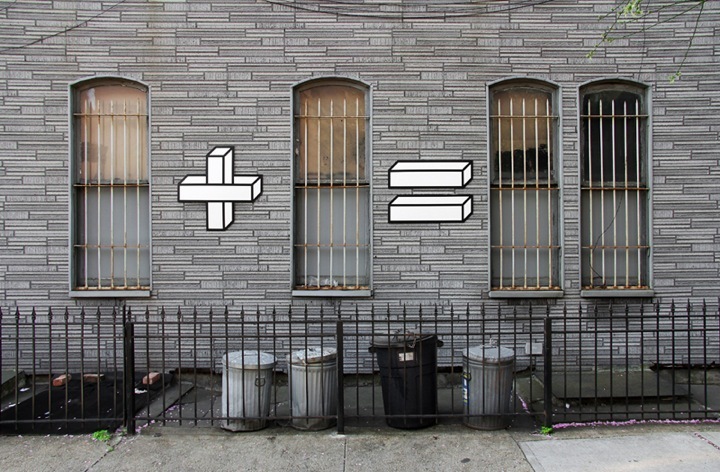 This artwork comes from Aakash Nihalani, he incorporates 3D style forms into urban environments to work as simple math problems. 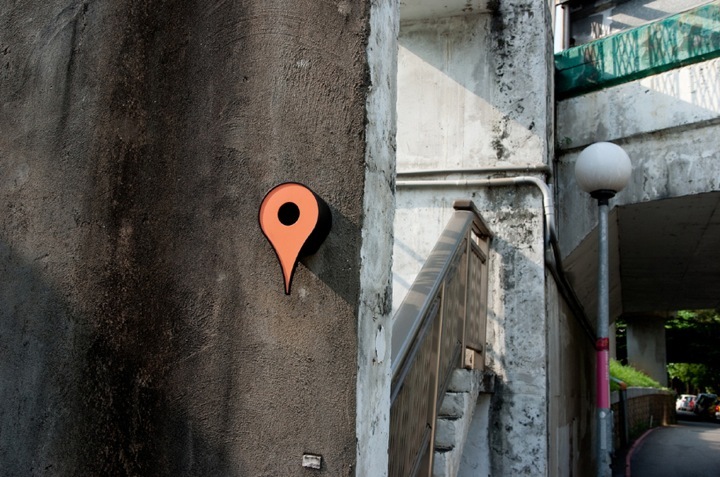 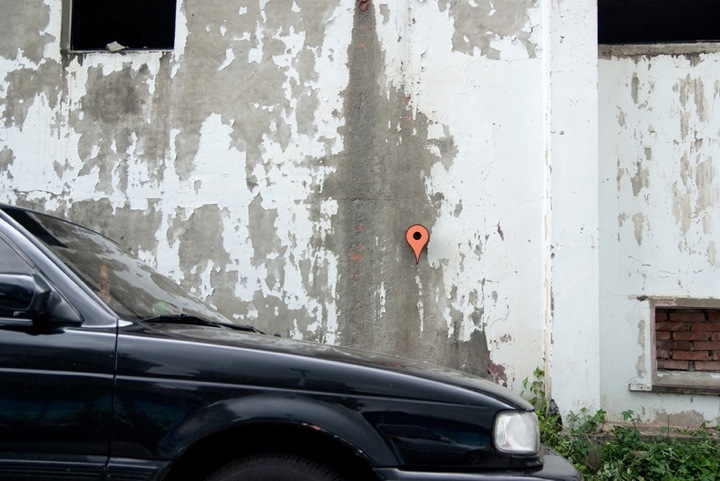 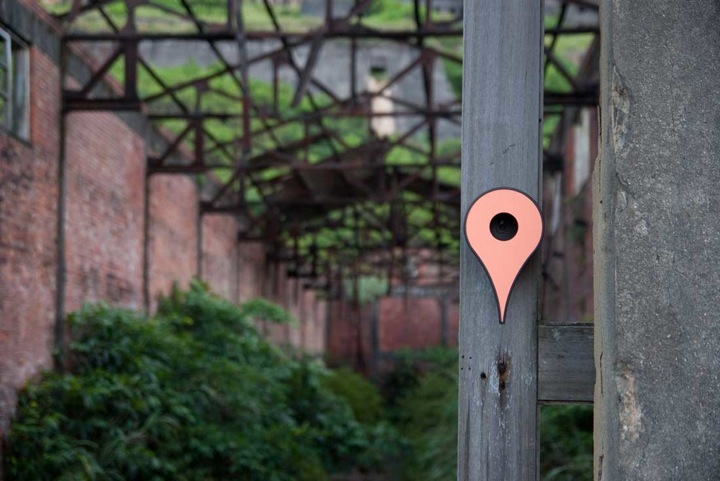 Taiwanese designer Shu-Chun Hsiao is using the google maps landmark icon, as a marker for a bird’s destination. 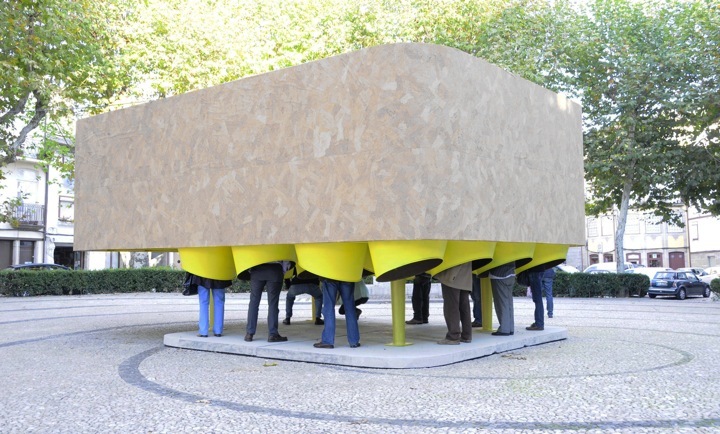 The miniature dwellings serve as an arrival point for birds, accommodating their needs.